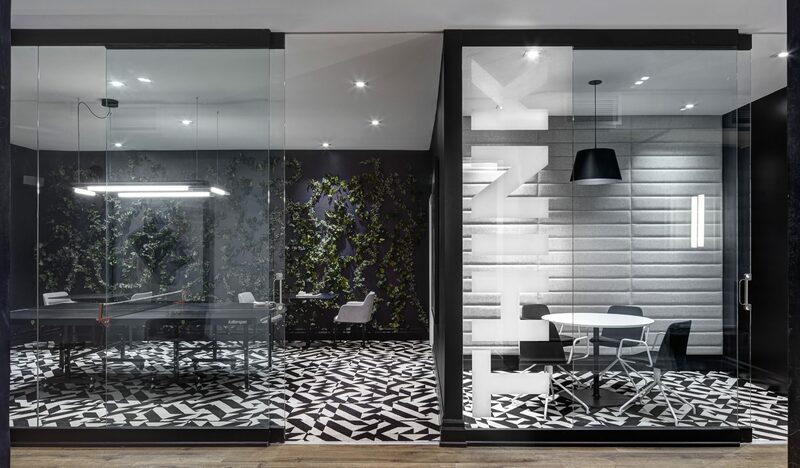 This co-working space, located on the second level of the development’s presentation gallery, encompasses multiple zones for the targeted urban professional clientele. 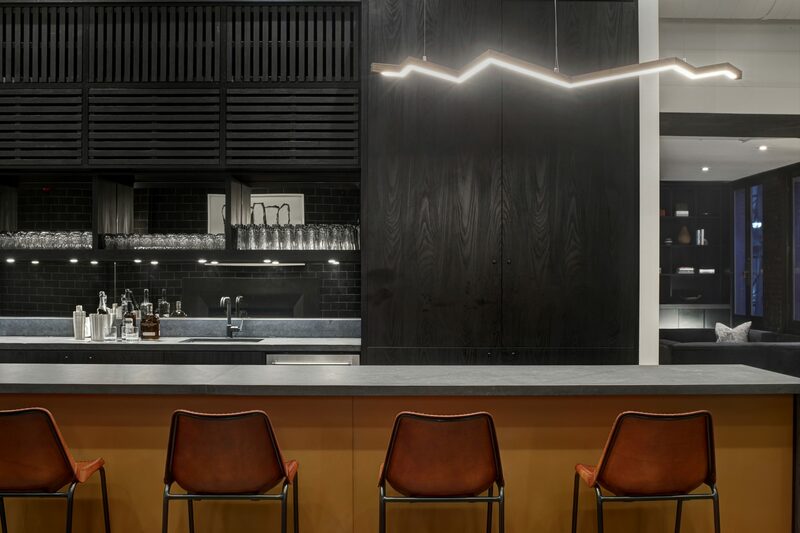 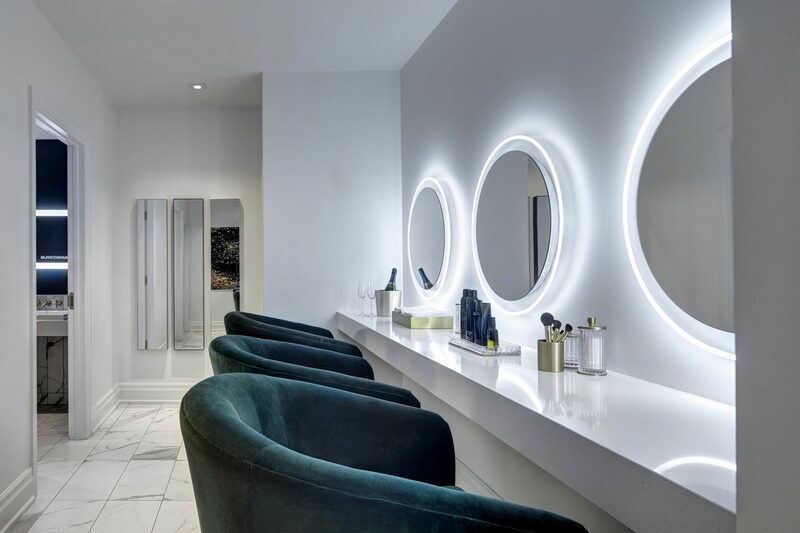 Curated areas include private and communal work spaces, 'swank' lounges, games room and beauty bar for the entrepreneurial individual accustomed to a multi-faceted lifestyle. 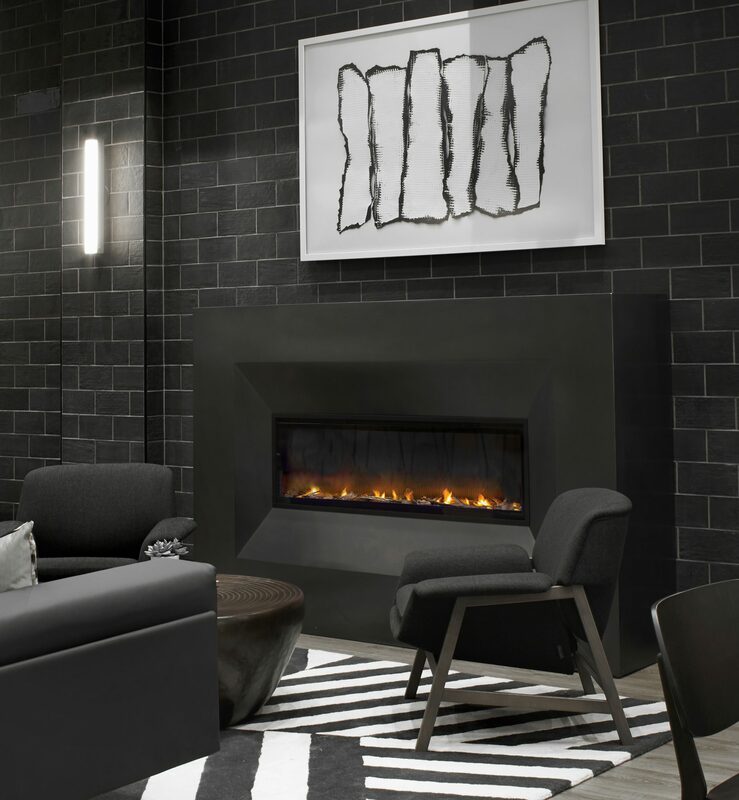 Upon the client directive, the mandate was to create a private social club vibe reflecting the amenities planned for the high rise condominium being constructed on the same site. 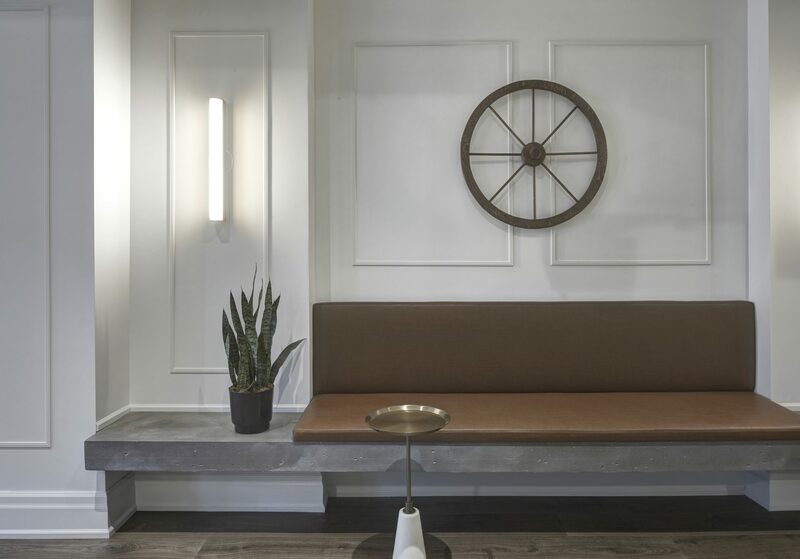 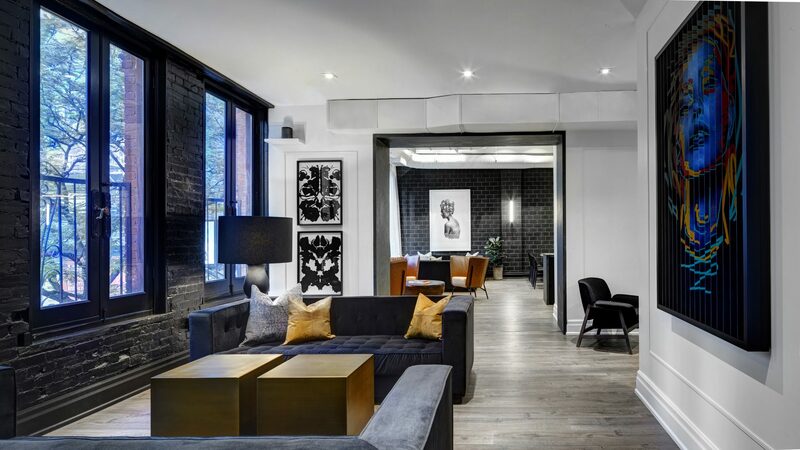 The design captures the look and feel of a trendy VIP destination – casual, yet sophisticated with materials that are eclectic, while dramatic: sumptuous velvet and leather upholstered contemporary furniture forms, rich woods and bold black accents.